Yahoo! 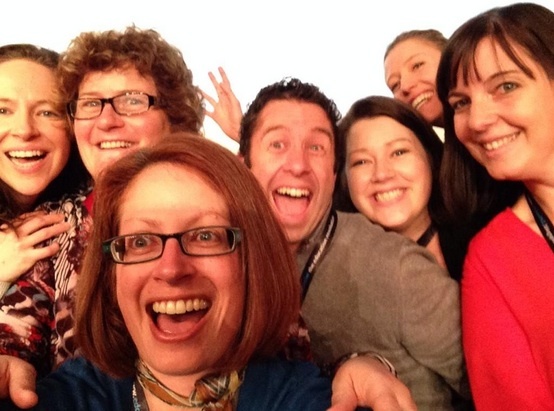 Today is Day 1 of Connected Educator Month – and I got to participate! This amazing, global, event champions collaboration and networking amongst educators. Unfortunately Danielle Myburgh, our wonderful #edchatNZ host, was unable to present in the ‘Connected Professional Learning: Stories from NZ‘ so I was her ring-in. I thought it was really important for #edchatNZ to be represented because of its role in inspiring and empowering New Zealand educators. 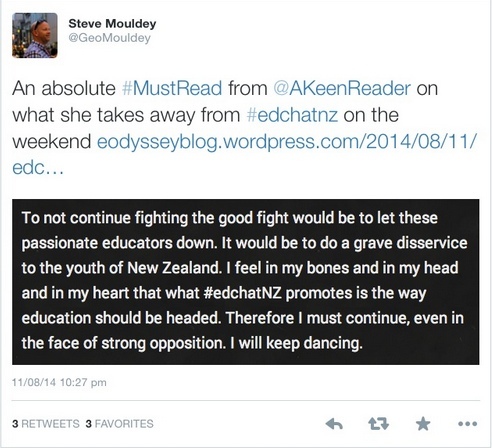 As I said during the session, to me #edchatNZ, and particularly our amazing conference in August, truly embodies the spirit of Connected Education Month. It is a community which aims to support and foster ‘lone nut‘ educators who seek to engage with professional learning in order to bring the best of the cutting-edge pedagogy for the benefit of Kiwi kids. It was also interesting to be presenting alongside representatives from the Ministry of Education, NetNZ, Secondary Literacy Online and Te Manawa Pou. As one astute presenter commented: the thread really was collaboration. It’s amazing what we can achieve together. I was lucky enough to attend myself, in person, and even luckier to be involved with the amazing steering committee. 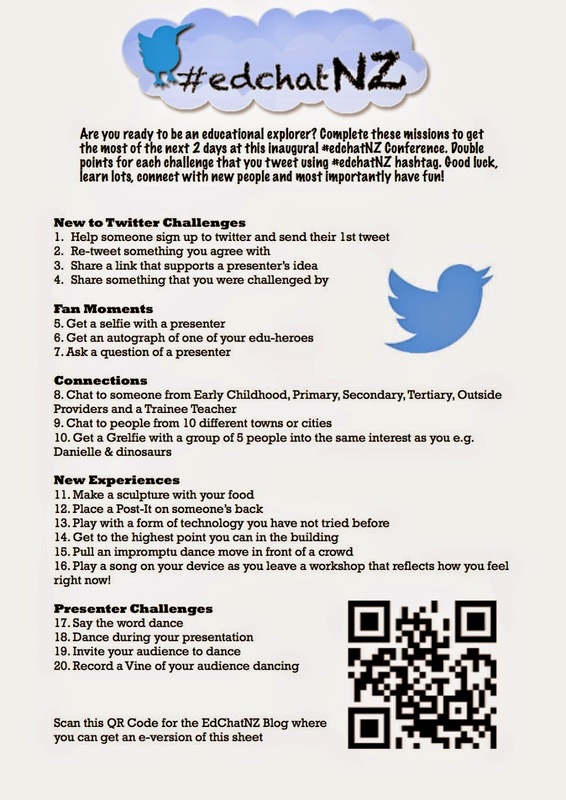 @mrs_hyde: that even if you are regarded as “Twitter royalty” that you still can face uphill battles inspiring change in your school. 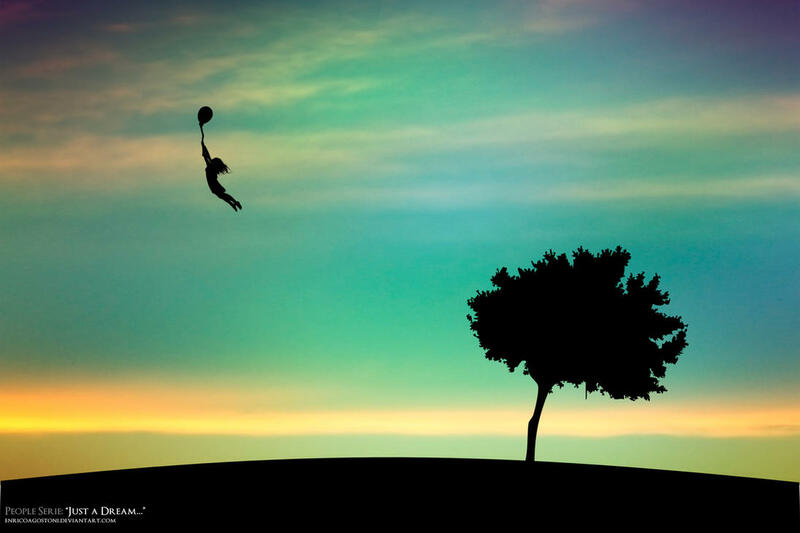 @mrsmoorenz: that not only is breaking down silos possible, but it’s even easy. @allscots: the phrase “cells and bells”. 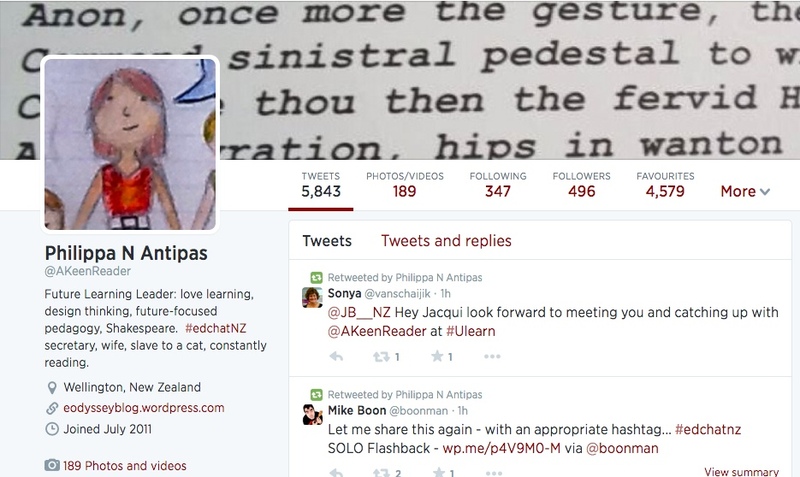 6. Who is one person that you would like to have taken to #edchatNZ and what key thing would they have learned? Every one of the Heads of Department at my school to experience HPSS first hand, and to see the direction in which education should be headed. Argh! So many! I would have loved more time to just sit and talk with whoever was around. I also wish I had had the time to see the 3D printers in action, and to check out Booktrack. Easy: Key Competencies for the Future, Hipkins, Bolstad et al because this is the ‘assigned book’ for the #edubookchatNZ we kicked off at #edchatNZ! This isn’t going to be the first blogpost I write spinning out of the amazing #edchatNZ conference, but it’s the one that was first inspired by it. After the #edchatNZ steering committee, which I was privileged enough to be a member of, had had their dinner on Friday night – literally the first time we had ever sat down together as a team – I turned to Matt Nicoll and said, “You know, I have connections to everyone on the committee.” And, it’s true, I do. Matt is my (second) cousin. Danielle and Heather have worked with former colleagues of mine. Alyx teaches at a school my cousin worked at. Mel teaches at a school I went to. Sonya is Samoan, and my husband is too. And as I was relating these connections to Matt, my brain said to me: actually, Philippa, these are pretty tenuous connections. But then it struck me: there is a basic human need to feel connected to others. 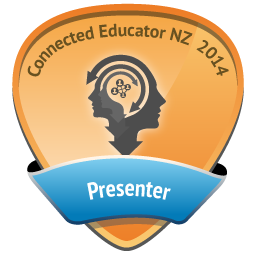 And for me, this was the genius of the #edchatNZ conference. It was an opportunity for people who had built connections using Twitter and our little hashtag to meet one another face to face and develop these connections into relationships. This is a section of a brainstorm HPSS students taking part in Danielle and Steve’s #apocalyps class where they’re using Science and Social Science perspectives to explore wicked problems. These brainstorms, as I understand it, were the students’ first thoughts, a jumping off place, for the term. 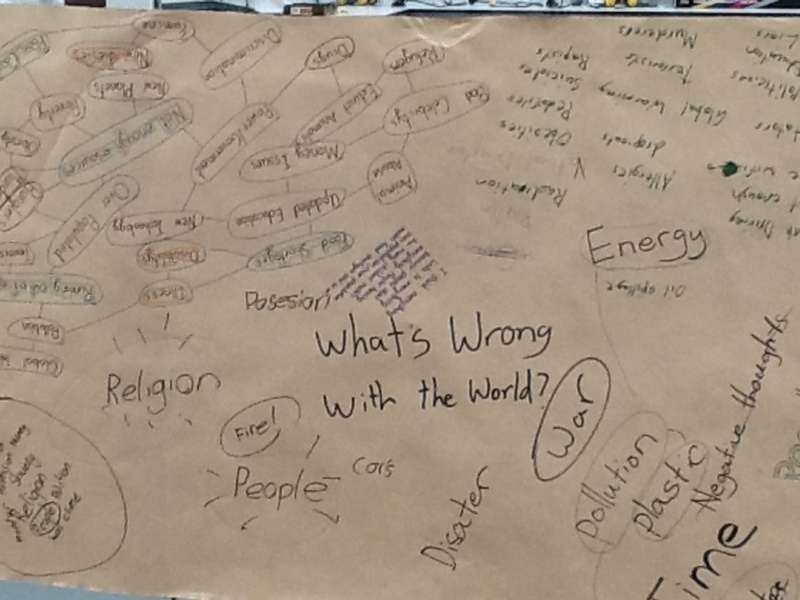 They threw all their ideas down on big sheets answering the question: ‘What’s wrong with the world?’ It appears that after this, the students used different colours to find links between these problems. In purple, just above the ‘t’s’ in ‘What’s’, a very clever, insightful student has observed: ‘everything is connected to everything’. This message was echoed in the workshop I attended (best facilitation ever, Mel Moore!) where we explored breaking down silos in the senior school, and how we might create cross-curricular courses. It took the group I was working with literally thirty seconds to brainstorm a truly integrated course based on the stimulus provided by Pete McGhie of ‘Our backyard’. We had Food, Technology, English, Maths, Science and Te Reo easily incorporated. I knew such a thing was possible, but so quickly? It blew my mind. And so I wonder: How might we better offer our students to make connections? With each other, with their teachers, between learning areas? It is clear that it is both possible and indeed imperative.